A few days ago, I reported that Best Buy Canada was opening all of its stores (Quebec region excluded) at midnight for the launch of Gears of War 2. Future Shop is also planning a midnight launch of its own. On November 6th at 11:59pm, all Future Shop stores (except for Sudbury, Ontario and Quebec stores) will be open for one hour for the sale of Gears of War 2. If you purchase Gears of War 2 at Future Shop, you have the opportunity to receive a free "Headshot" Locust Drone figure. As for the Sudbury, Ontario and Quebec stores - they will be open on November 7th at 8am. 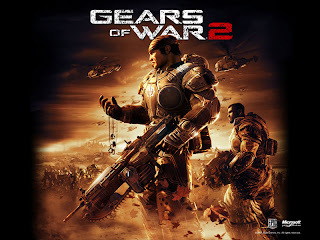 For all the details visit the Gears of War 2 launch page on Future Shop`s website. hi, both the Future Shop links are bad links. I just compiled a list of Canadian stores and even found one in Quebec.